Garage Door Repair & Installation: Amherst, Lockport, Niagara Falls, NY, and more! Welcome to Sunrise Door & Woodworks, Inc.
Providing quality products and services since 1998. 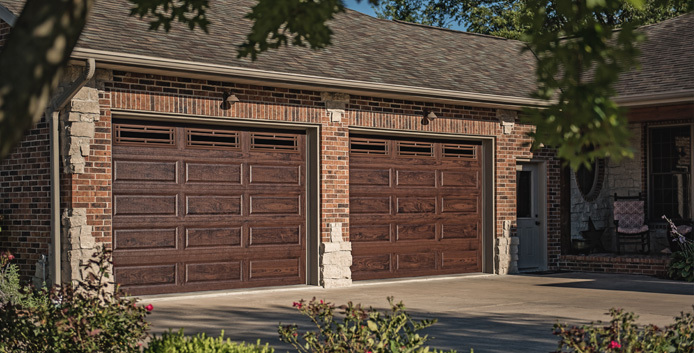 As the leading residential and commercial overhead door supplier in Gasport, NY (offering overhead garage doors and garage door repair in Amherst, Lockport, and Niagara Falls, NY), we offer a full range of services, including overhead residential garage doors, commercial garage doors and electric garage door openers. We also carry a full range of parts and accessories for most makes and models. At Sunrise Door, our mission is simple...to ensure all customers receive quality products and the same great customer service every time. Call today for overhead garage door installation, maintenance and garage door repair in Amherst, Lockport and Niagara Falls, NY! Ask about our competitive Price Match Policy where we will price match a comparable, installed product. Whether you're building a new home or updating your existing home, we have a garage door or opener that's sure to meet your needs. We offer a wide range of styles, colors, sizes, pricing and optional accessories guaranteed to fit every lifestyle and budget. Dependable. Our full line of commercial garage doors and openers are not only functional but capable of withstanding the daily operations in the toughest environments. We offer a wide selection of insulated and non-insulated commercial doors, in addition to gate operators, to fit your exact specifications. Whether it's our dedicated sales team, our highly trained installation team, or our skilled repair team… we're here to help meet all your needs and expectations. Sales, installations, routine maintenance exams, broken parts, repairs, and more... we do it all! The Leader in Garage Doors & Garage Door Repair in Lockport, Clarence Center, Amherst, Niagara Falls, NY & Surrounding Areas.